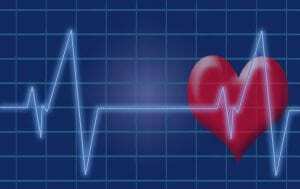 Can Diabetes Cause High Blood Pressure? I’m going to try and not get too technical here, but I think most folks know that it is basically the force of your blood flowing through your blood vessels. Your health care provider or physician takes your blood pressure numbers with a blood pressure monitor which I’m sure everyone has done more than once in their lives. The results are two numbers such as a normal pressure reading 120/80. Each number is very important. There is a connection between high blood pressure and diabetes which I’ll discuss later. The “top” number (in this case 120) represents the pressure at which your heart beats and pushes blood through your vessels. This is otherwise known as “systolic” pressure. The “bottom” number (80) represents the pressure when your vessels begin to relax between heartbeats. 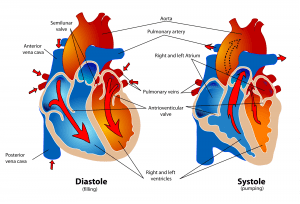 This is also referred to as the “diastolic” pressure. So basically, you’re looking for your numbers to be in the 120/80 range. That’s really all you need to know and be comfortable with. Obviously you want your blood pressure lower because that decreases the possibilities of having or preventing a stroke or heart attack. You should always know your blood pressure numbers as well as your blood sugar numbers because both play a very important part of your health. You won’t know if you have high blood pressure unless it’s checked by your doctor or yourself if you have a home monitor to do so. It is a silent issue so don’t ignore having it checked. This is not a good combination to say the least. I have my own blood pressure under control and check it with my own monitor at home. Having type 2 diabetes will increase your risk of having high blood pressure. Risks for heart disease come from high blood pressure and high blood sugar. Having diabetes increases heart problems by 4 times as much in females and 2 times as much in males. With high blood pressure and diabetes your risk doubles over those numbers. Since a resistance to insulin causes type 2 diabetes, this causes a build up of sugar in the blood. You’ll want a reliable test kit to monitor your sugar numbers. Obesity is a big cause of this. A build up of sugar in the blood makes more insulin and in turn the insulin makes your body retain more fluids and salt and guess what? This is one way that diabetes and high blood sugar increase your risk for high blood pressure. You also want to watch that you don’t have low blood sugar either. If you have diabetes and high blood pressure, then the best way for you to decrease your chances of death is to keep your blood pressure down. In addition, you’re also prone for risks relating to kidney and eye complications too. The most common cause of blindness is due to diabetes. You can lower all your diabetes risks by approximately 12% just by keeping your lower blood pressure number by 10 points. If you have diabetes, then shoot for your numbers to be at or lower than 120/90. If you have kidney disease too, then aim for 130/80. Don’t smoke. Period. There’s nothing healthy about smoking. Lose weight. I’m sure you’ve been told that before? Losing weight lowers your blood pressure. Limit salt intake. One teaspoon a day at most. Salt is NOT good for high blood pressure. Stay away from processed foods that are loaded with sodium. Go for anything with reduced or low sodium listed on the package or label. Pain relievers. Over the counter anti inflammatory drugs have been known to raise blood pressure. Stop drinking! OK, I only say that because I don’t drink, but seriously only have alcohol in moderate amounts. Have apple cider vinegar instead. Move it! You know how important exercise is, so just get moving. Walk, do anything, just make the effort. It’s serious for your health and blood pressure to keep moving. Exercise 30 minutes a day 5 days a week. Eat healthy. 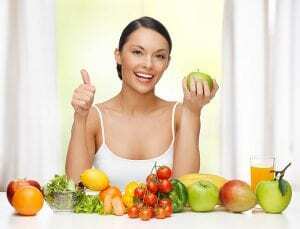 Vegetables and fruits and other healthy foods such as nuts, fish, and proteins. The healthier you eat, the better your blood sugar numbers and blood pressure numbers become. Medication. I take my medication everyday for blood pressure and diabetes. While I am aiming for natural ways to remedy these health issues, I follow what the doctor guides me to do. Don’t forget or skip taking your meds. Eat smaller meals. It’s much better and healthier to have 4-6 smaller meals daily than 3 large ones. Cook healthier. Grill and bake and avoid frying altogether. Sleep. Get enough sleep because it’s important to function the next day. Stress. Tops when it comes to high blood pressure. Eliminate stress! Bananas. All fruits are healthy. Bananas contain potassium and you can add them to most anything or just have as a snack. Ginger. It calms your stomach down. My mom used to always give me ginger ale to calm down the feeling of nausea too. It reduces inflammation which can be a big contributor to some cancers and arthritis as well. Beets. I’m not a favorite of beets but you can’t beat the nutritional value they provide. Researchers have discovered that beets open your blood vessels due to the nitric oxide they contain. Blood pressure can be lowered very quickly due to the nitrates in beet juice. Omega 3 with essential fatty acids. Examples are fish, olive oil, krill oil, and avocado. These fatty acids help in preventing inflammation, joint pain and heart disease. Berries. I love berries and they are all healthy for you. Because they contain flavonoids, they may help prevent high blood pressure, especially blueberries, strawberries, and raspberries. Fruits than contain vitamin C. Fruits such as lemons, grapefruits, and oranges not only fight the common cold, vitamin C has powerful antioxidants that fight inflammation and in turn help lower your blood pressure. Oatmeal. It’s great for breakfast, being high fiber and having low sodium and very healthy for you. All leafy green vegetables. Spinach (my favorite veg), kale, romaine lettuce, just to name a few. Garlic. I’ll admit, it’s not my favorite, but it is healthy for you and can significantly lower your pressure. Olive oil. It also is an anti inflammatory and is a healthy fat that reduces high blood pressure. Pomegranate juice. Lowers blood pressure, but read the labels because of sugar content. You don’t want high blood sugar so be careful not to overdo it. Seeds. You want unsalted seeds because salt can increase your blood pressure, so stick with pumpkin or sunflower seeds because they are high in magnesium and potassium. Dark chocolate. I personally prefer milk chocolate, but oh well. Beggers can’t be choosers. LOL It contains less sugar than milk chocolate and more cocoa and is linked to lower risks for cardiovascular disease. Relax and take time to breathe deeply. Slow breathing exercises and yoga are beneficial for you. You don’t want to be stressed or worry about everything. Sleeping right is crucial for your body to function. There are a lot of issues with your body that can relate to hypertension. Eat healthy and choose the right foods. Apple cider vinegar is a huge benefit for your body and is something to consider for your health as well. Supplements are always helpful if you know which ones to take and what they can do for you. Supplements can lower blood sugar which will help your blood pressure too. Exercising is what you really need to do and you know it. For me, it’s bike riding. I love getting out on my bike and it doesn’t seem like it’s exercise that’s hard to do. If I can’t get out to ride, I use my foldable exercise bike indoors, so there’s no excuses. Losing weight is huge in keeping your blood pressure in check. You don’t want diabetes and belly fat contributes to that. So, all of these things are important to staying away from hypertension. High blood pressure is dangerous. There’s no doubt about that. It’s vital that you check yours frequently and eat right and exercise to keep it down. If you have any questions or comments, please feel free to leave them below and pass this on to others who may need help. I would appreciate it! Thank you for reading and have a happy and a healthy one! I really enjoyed the warmth and calmness within your message. Anyone dealing with HBP could experience a calm vibe just visiting you as like I just experienced. Your message is clear and easy to understand. And I like your images, too. Your site has a nice layout and great posts. I’m also a huge fan of being health conscience. So far I am not on any medication and managed to correct my HBP via holistic approach and exercise. It’s very validating to read your site as eating healthy is so common sense. I eat all whole food which is food that is in it’s original state, such as fruit, veggies, fish, and nothing from a can, or processed. You have my full support in your journey. You are going to touch and benefit so many people. I wish you improved health each day, Rob. You’re one of my followers and I yours. Thank you for your kind words Jen. I appreciate it. It’s all about helping people in this world. I feel that if you learn something, then pass it on. For me, I just tell it like it is. While some of the foods that are very healthy for you I may not be crazy about, I admit it. But it doesn’t mean that it’s not good for others. It’s all about the healthy foods that are good for us. That’s mostly the problem when it comes to ill health. Time to stock up on fruits and veggies again! Happy and healthy to you Jen! Following right back at ya! I really like your article, it is very informative, I especially like your advice on taking your doctor prescribed meds. I believe people should let their doctors cut down, or stop their medication as they continue to eat right, exercise, rest, and all the other things you mention, including stop drinking. I too am big on health, so I do my best to stay fit and healthy, and I really do appreciate your article on dealing with HBP. Anything you can do to remedy a health problem without medications is a plus as far as i’m concerned. But high blood pressure is not to be taken lightly so if your doctor prescribes medication, it’s important to take. But working on treating conditions the natural is a better alternative and then at some point when your numbers are better, perhaps a discussion with the doctor will remove the medications. You should have a monitor at home to keep check often. Thanks for such an informative article. I particularly like the part on reducing diabetes issues with lower blood pressure and the tips on what to do and what to eat. Although I do not have diabetes or high blood pressure, I have a relative who is living with diabetes. I am very sure the information and the tips here will be very helpful for her. High blood pressure is not healthy no matter what but especially having diabetes, you don’t want high blood pressure or high blood sugar for that matter. Knowledge is power and high blood pressure should be monitored regularly and if you have a home monitor you can do it yourself very easily. I really enjoyed the part that you dedicated to showing me the natural foods that can help in bringing down high blood pressure. I am not really a lover of fruits and veggies, but I guess that I got to start getting on with the program. I have type 2 diabetes and my blood pressure is borderline. So I am mildly hypertensive. I go to start doing regular exercise as well. You recommended supplements to regulate sugar levels. What is your opinion of cinnamon capsules? I saw that advertised in a store recently and would like to know whether or not it is effective for diabetes? Love discovering that beets are good for me … Woooohooo! I love pickled beets and at times I can eat them until I look like â€˜em 😉 (one of my dadâ€™s favourite sayings!). Hopefully the pickling process wonâ€™t take away all of the goodness of the beets, because like you, Iâ€™m not a fan of beets presented on my dinner plate like, say, peas or corn. And, Thank YOU for making it easier to understand the blood pressure numbers. So many have tried to explain this to me in the past, and Iâ€™ve not understood. Going forward, Iâ€™ll understand better why, say, 80 over 80 is NOT good. No Trish, 80/80 is not good 🙂 As beets are good for you, it’s not my favorite but eating right for your blood pressure is smart. I keep tabs on my blood sugar and monitor blood pressure at home regularly. Once you know what your numbers should be, then aim to keep them there.. This is a great explanation and list of foods and methods to lower blood pressure. Luckily for me I don’t smoke or drink much and I like most of those foods like dark chocolate, beets, garlic, ginger and spinach. I think supplements can really help especially if people don’t have a perfect diet already. My husband took a supplement our doctor recommended called HeartTension that was amazing for reducing his blood pressure! It is made with all natural herbs and vitamins. I know it has garlic in it along with magnesium which is crucially important for many conditions. I love your list of great foods and items here! High blood pressure is of course nothing to play around with and I’ve been addressing it for years now. I think the most important thing we can do is to watch what we eat and to exercise. But herbs and supplements help too. I will stay on my journey to help people lower their blood sugar naturally along with any other health issues such as high blood pressure and others that we may have. High blood pressure leads to diabetes and many other diseases and ailments. I hope my article helped you! 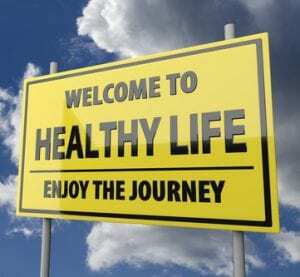 Diabetes and high blood pressure …the two monsters that seem to be plaguing too many of the people I know from the baby-boomer generation. I know both diabetes and high blood pressure can plague any age group, but I know a lot of baby-boomers. We all need to watch what we put in our mouth. I’ve come to realize that these terrible diseases are triggered by the things we eat, and that we all need to be more conscious and aware of the things that are being done to our food. This is a very interesting and informative website. I enjoyed visiting. Thanks. Diabetes is something that will not go away without trying to do something about it. The least we can do is to get it under control. 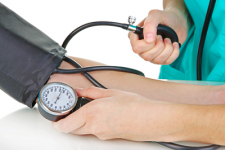 High blood pressure can lead to heart disease and stroke. The key to medication is the food we eat and the exercise we do. Yes it’s true that eating unhealthy does trigger the diseases that we contract. It’s time we take responsibility for our actions. So let’s change the way we eat and make sure you get up and move and fight off high blood pressure and diabetes! Thanks for your comments!